Born in Utsunomiya, Japan, Hiroyuki Tsuruno started his violin studies at the age of four. He is a graduate of Tokyo Universtity of Fine Arts, obtaining a master's degree in 2015. Hiroyuki specializes in french music and was parised by french musicians as a "violinist who understands French repertoire better than French violinists and expresses his musical thoughts deeply and sensitinly". He is a winner of many competitions, including the Yokoharna Internatibnal Music Competition, and Japan National Music Competition, Hiroyuki is a recipiant of the Northern Lights Music Festival Award at the 2015 0saka International Music Competition. 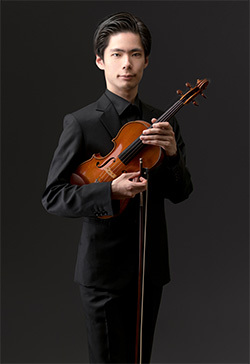 His teachers include Gérard Poulet, Natsumi Tamai, Boris Garlitsky and Igor Petrushevski.